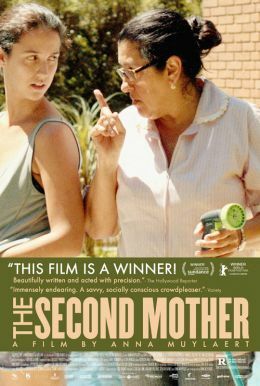 An excitingly fresh take on some classic themes and ideas, THE SECOND MOTHER centers around Val, a hardworking live-in housekeeper in modern-day Sao Paulo. Val is perfectly content to take care of every one of her wealthy employers’ needs, from cooking and cleaning to being a surrogate mother to their teenage son, whom she has raised since he was a toddler. But when Val’s estranged daughter Jessica suddenly shows up the unspoken but intrinsic class barriers that exist within the home are thrown into disarray. Jessica is smart, confident, and ambitious, and refuses to accept the upstairs/downstairs dynamic, testing relationships and loyalties and forcing everyone to reconsider what family really means.